This pair ofExtended Cutting Pads is specially sized for use with longer dies in the Sidekick, BIGkick, Big Shot and Vagabond machines. 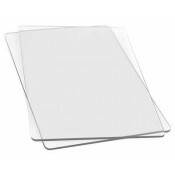 Constructed of high-quality polycarbonate plastic, these see-through Cutting Pads allow for easy die-cutting of thicker, longer Sizzix steel-rule dies (Bigz XL, Movers & Shapers XL and ScoreBoards XL) in the BIGkick, Big Shot and Vagabond machines. 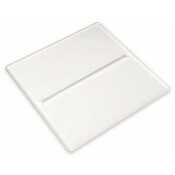 Each Cutting Pad measures 14 5/8" x 6 1/4" x 1/8" and lasts for thousands of cuts.